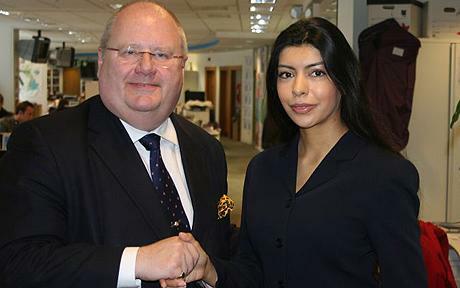 Conservative chairman Eric Pickles has expressed delight that Norsheen Bhatti has been selected as a general election candidate. Congratulations to Norsheen Bhatti Conservative Candidate for Stoke on Trent Central. I recruited Norsheen to the Party so I’m very pleased. Bhatti provoked anger from the Lib Dems when she quit for the Tories earlier this year. But she has an uphill battle to take Stoke Central from Labour, despite the government’s difficulties. Labour MP Mark Fisher’s 9,000 majority looks enough to carry him home even with a fall in his support, so it’s really a battle for second place between the Tories and Lib Dems.